Rejoice, guy-in-rubber-suit fans! Sixty years after first trampling his way into the collective consciousness (and with a blockbuster reboot on the horizon), the primordial behemoth known as Godzilla returns for a weeklong run at Film Forum in a new DCP restoration. If you know only the Americanized version—dubbed into English and featuring Raymond Burr in awkwardly incorporated footage—this is your chance to see director Ishiro Honda’s pointedly allegorical Japanese original. 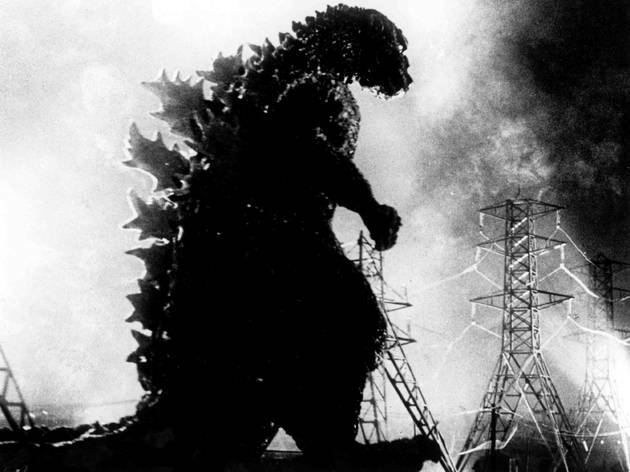 Starting with a scene that directly parallels a then-current incident (the Daigo Fukuryu Maru disaster, in which a fishing boat’s crew was affected by a nuclear blast), this Godzilla is prepared to confront the real-life traumas of a devastated country still reeling from the endgame of WWII. We don’t see the big guy full-on until about 20 minutes in. That gives us time to get to know the human element: idealistic sweethearts Hideto (Akira Takarada) and Emiko (Momoko Kochi), about as compelling as the singing lovers in a Marx Brothers movie, and the infinitely more interesting scientists Yamane (Takashi Shimura) and the eye-patch-sporting Serizawa (Akihiko Hirata), forced to grapple with the massive threat this prehistoric monster poses for the populace. More so than in the jokey sequels, this film’s Godzilla comes off as a potent and provocative metaphor, a lumbering embodiment of atomic-age anxieties birthed from mankind’s own desire to destroy. (The creature’s handmade qualities strangely work to the advantage of the film’s themes.) Honda’s satire is cutting, with several characters resigned to living with the threat of constant cataclysm. And the way the filmmaker shoots his central Tokyo-destroying set piece—with fleeing extras, sky-high flames and wanton destruction—calls up plenty of uncomfortable associations, even as it feels like a nation exorcising its demons. 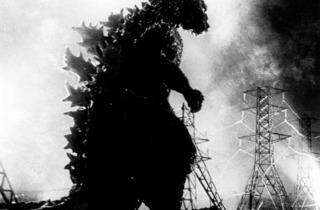 Godzilla is Pop Art as purge.